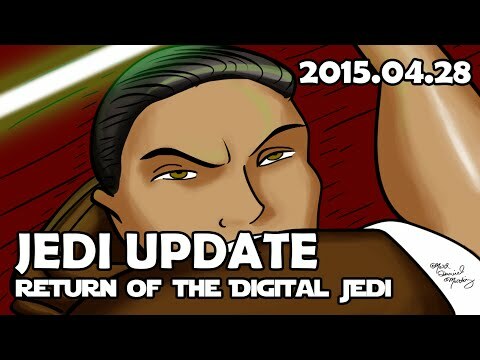 Return of the Digital Jedi. Yes, I’m back. I never really went anywhere. I just had some things to take care off that delayed the editing my the video footage I’d taken over the last month. Here’s a quick rundown of what to expect in the next few weeks. And there’s a special thumb drawn by yours truly, just for fun.